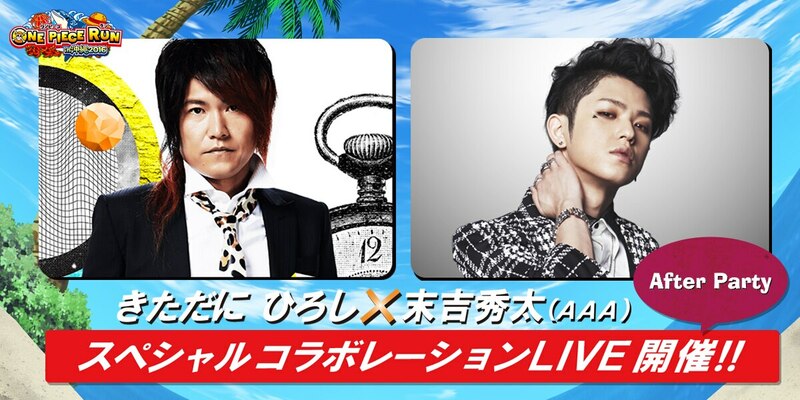 At the after party luxurious guest appears that enjoying everyone after running, the special live that collaborating Hiroshi Kitadani and Shuta Sueyoshi/AAA of "ONE PIECE RUN PR ambassador" is decided! It is pleasure about the luxurious collaborating stage which can be seen only here! !